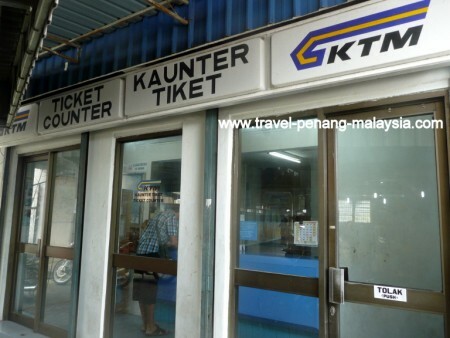 The KTM Office in Penang Island is the place to go if you need to buy KTM train ticket from Butterworth to various destinations in Malaysia on the KTM Berhad Electric Train Services (ETS). You can also pick up a KTM train timetable or just visit there to find out any information you need on travelling on the Malaysian railway services from Butterworth Railway Station. Where is the KTM Office in Penang Located? The office is very easy to find. It is located in Penang Jetty where you catch the ferry from the island to go to Butterworth. As you walk down from the ferry, the office is in the corner on your left, just as you turn right into the small parade of shops that lead out onto the road. If you are in Georgetown, you can easily walk, or catch any bus that goes to the jetty, which is about 99% of all Rapid Penang buses or catch the Freecat city bus, which travels around the old part of town and stops just in front of the jetty bus station. Just walk up the row of shops / stalls and the office is in the corner on your right, just before you turn left to go up to the ferry. The KTM office is open every day except Sundays, from 08.30 am to 4.00 pm. They close for an hour for lunch - currently, lunch break is between 11.00 am and 12.00 pm. On Friday lunch break is from 2.00 pm until 3.00 pm. However, over the years their lunch break seems to change many times, so if your planning to go there during the middle of the day, it may be worth calling them first to see when the break currently is (see telephone number below). 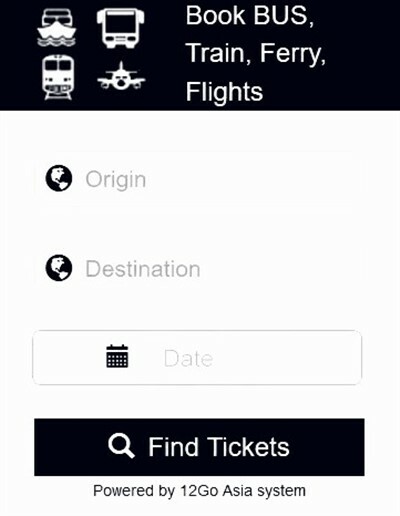 You can book any tickets for travel within Peninsular Malaysia and on to Singapore online at the KTM website with the exception of the Butterworth Komuter Trains. Or you can also use an online ticketing agent who offers the same tickets, but with a small admin fee usually added to the ticket price. Please Note: As the International Express Train is no longer travelling to Butterworth, tickets for this Thai Railways train are no longer sold from the KTM office or Butterworth Station. Tickets are now only available from the station at Padang Besar where the train now terminates / originates.